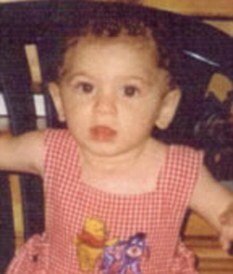 Amber Rose Nicklas, age 13 months, was abducted from her foster parents in Norwalk, California in September 2003 by three of her teenage biological aunts. Though two of the girls were caught, the third managed to escape with Amber, who was missing for seven years. Amber was raised by a loving Romany family in Arizona who did not know she had been abducted—they were told that her drug addict mother had given her up. However, they did not have any identifying paperwork for her, so she could not be enrolled in school. Instead she was homeschooled in the Romany tradition, although when she was found she could not read or write, although she was bilingual in English and Romany (mistakenly identified in several news sources as ‘Romanian’). She was discovered in 2010 after police received a tip about her whereabouts; she was subsequently returned to her foster parents.